@Sprite wrote: Please no to Taite for Bachelor. I don't find him attractive. That he came on the show for fame isn't exactly a shocker since he is hardly the first and most certainly won't be the last. The fact that he is willing to fake things with Ali...and doing a horrible job at it...just further cements the fact that I don't want him as the lead. Added to that, there are other, more viable options, be it Todd or the hot vet. If they cast him, that would be another season I would be skipping...just like Ali's. Everything that producer says aligns 100% with what I saw on screen. Taite tried everything not to get picked IMO. But he obviously didn't count on Ali being so obstinate/blinded by lust she'd still pick him even when he was openly saying he didn't feel the same way and couldn't commit to the timeline she wanted. He played romantic chicken with Ali and lost. Now he's in a catch 22 position - he can break it off and say Ali was too full on and wanted to settle down too quickly (which most people would believe, IMO, so that would get him off the hook there) BUT by saying that there's then no way IMO he can turn around in 4 months and say "I'm now ready to be Lead and settle down". He shot himself in the foot bigtime IMO. Rumour has it Doc Brown might be dating (much younger) former ABC kids host Liv Phyland so potentially no longer a contender. Dr Chris Brown has sparked rumours that he may have moved on with his Channel 10 colleague Liv Phyland after the pair were spotted together at a truck stop in Wyong on the Central Coast on Friday. 'They left together in a white range rover, he was driving and she was in the passenger seat,' a source told Adelaide Now. Could be a Ch 10 thing and the source is vague but I could see them together so wouldn't be surprised if there's something to this. @AllAboutLove Done! Let me know if you have any issue's creating new topics. Same. I like her too and could definitely see it working despite the age difference. They may have been on assignment for the Living Room when spotted since they've filmed stuff together before (remember THIS?) but if so it seems weird they'd be in the same car and not accompanied by producers/camera crew. Maybe her near death experience brought them together. 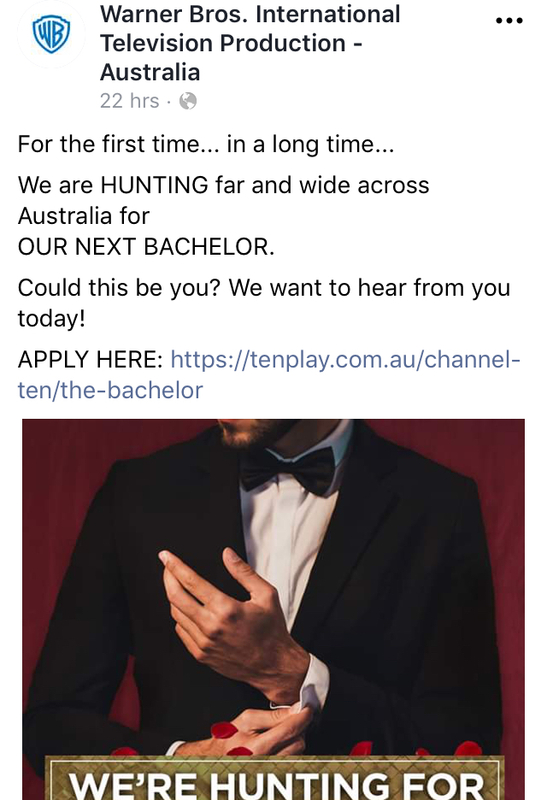 This popped up on my Facebook feed yesterday - looks like they’re going for an unknown bachelor? Could be, or could also be a fishing expedition for Bette contestants. I think they have trouble getting quality guys to nominate themselves for Bette, but IMO most guys have excellent self esteem and would nominate for Bach. So they say to the guy “we’ve decided to go a different way for Bach, BUT if you go on Bette, and make to top 4 you could totally be the next Bach”. Tim, Blake (apart from the ending) and Sams seasons were really good, but IMO that isn’t down to them being fresh faces, it’s down to production being different, and not having such over blown villains and drama. could also be a fishing expedition for Bette contestants. I think they have trouble getting quality guys to nominate themselves for Bette, but IMO most guys have excellent self esteem and would nominate for Bach. So they say to the guy “we’ve decided to go a different way for Bach, BUT if you go on Bette, and make to top 4 you could totally be the next Bach”. @Dirty Street Pie they've done this before for past seasons too not to mention that most of the men cast for Bette were approached or applied to be the Bachelor - Richie was and so was Matty J before they went on Bette. As were all the F4 on Georgia's season - they actually applied or were approached for the Bachelor role and then later asked to go on Bette (so exactly as you said). I do believe Chris Brown was at her birthday celebration a few weeks back as seen on Sam Mac (sunrise) insta stories. Not sure I believe any of this considering DM put the word "source" in "quotation marks" (and IMO Scott wouldn't do it anyway) but make of this what you will. 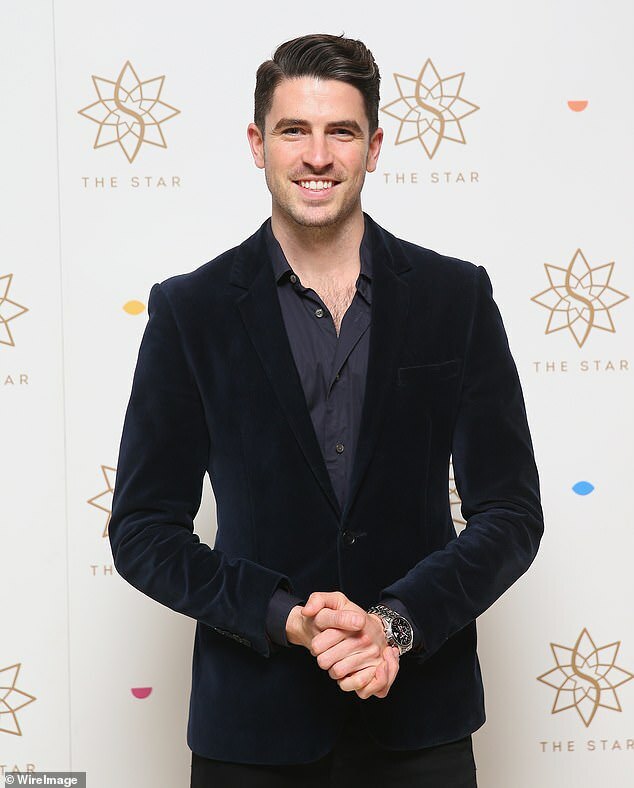 Channel Ten presenter Scott Tweedie has been 'offered' the role of the Bachelor for the next season of the dating series. Producers of the show are reportedly very keen to get the hunky Studio Ten reporter, 30, signed on, according toConfidential. A 'source' close to the handsome presenter confirmed he was approached for the role after Channel Ten executives found out he had split from his girlfriend. 'When they found out that Scott was single, they were straight to him with an offer to be the next Bachelor,' the publication reported. An 'insider' however said Scott might not be so keen on becoming TV's most eligible bachelor, saying he is fearful on how it could affect his career. 'Scott would be great but I doubt he will do it. He doesn't seem very keen,' a friend of the presenter is reported to have said. 'He has worked pretty hard to get where he is and this could impact his future,' the friend is reported to have said, adding that 'he hardly needs help with the ladies'. The handsome journalist was dating model Georgia Berg for five years, before the couple split last month. Scott is originally from Queensland, but moved to Sydney in order to pursue his career in broadcasting. Between this and the Doc Brown rumour it seems like Ch 10 are building hype for The Loop and IACGMOOH more than anything else at this stage.